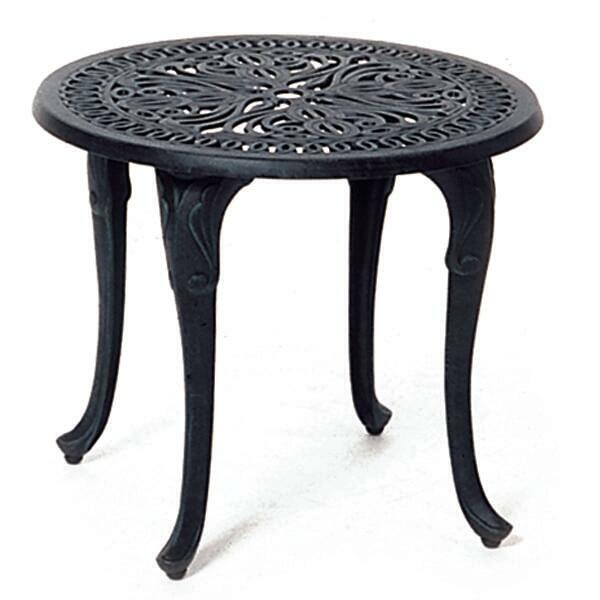 Part of the Tuscany Collection of Furniture, this small round tea table makes the perfect accent piece to go with chaise lounges or at the end of a sofa. Just like the rest of the Tuscany furniture the Tea table is made of cast aluminum and is powder coated in either black or desert bronze. Small and versatile and yet another beatiful piece of Hanamint furniture.